Sometimes after a difficult week or month, the best thing you can do to rejuvenate your spirit is to take the time to pamper yourself. A spa, salon, or relaxing hotel stay is often the best way to do so. Fortunately, in the city of Indianapolis there is a wide range of spas and salons to choose from. Here are the best five to try. Studio 2000 is located at 55 Monument Circle in Suite 2000 in downtown Indianapolis. It is located within a historic building that was built in 1929. The spa was added in 2000, during a major expansion and renovation, much to the satisfaction of local residents who have grown to love the services offered there. In fact, the building is known as one of the best surviving examples of Art Deco. However, this unique building is not the only reason to visit. Studio 2000 offers a complete lineup of professional spa services, including hair cuts, makeup application, pedicure, manicure, facials, waxing, scrubs, and peels. The Conrad Hotel is a notable Hilton property, with the Evan Todd Spa & Salon located on the sixth floor of the Conrad Hotel in Indianapolis. The spa offers massages, facials, and masks, among other traveler favorites. Because it is a part of a hotel, it offers free wifi to guests. A notable feature of the Conrad Hotel is the elevated skywalk that connects it to the Circle Centre Mall and the Indianapolis Convention Center. After your spa services, you can explore the rest of the area. The Transformations Salon and Spa is a much-loved day spa. It is located at 8083A South Madison Avenue. While the spa does offer a variety of services to choose from, you should plan a visit to Transformations Salon and Spa to get your hair done. The salon is known for its dramatic hair cuts. Located at 425 W South Street in Suite 110, A Place to Float is a day spa known as the “Best Float Spa.” Customers say that the spa maintains clean water tanks and pods for use in relaxation therapies. The spa also happens to be known for its great customer service. 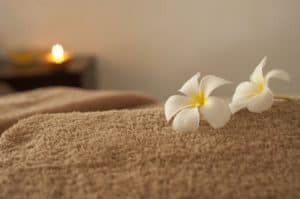 If you’re looking for something quick and consistent, try the Ambiance Day Spa, with its multiple locations around Indianapolis. Here you can get a facial, pedicure, or a manicure in a relaxing environment. A gift card to the Ambiance Day Spa would make an excellent gift of pampering for a loved one who wouldn’t otherwise take the time to relax at a spa. Everyone deserves some time to feel pampered and refreshed, even if you haven’t had a particularly trying week. The next time you want to relax, consider booking an appointment at one of the many spas, salons, and hotels in the Indianapolis area. There are plenty of high quality options to choose from, each specializing in their own type of services.